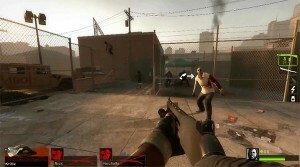 More glitching goodness in Left 4 Dead 2. Use the Bile Bomb in The Park on The Parish campaign to make zombies dance (not really, haha, well, kind of)! Special thanks to Krillix for showing me and helping me document this glitch.